If you don’t have time to read this opinion outpost review, then let me cut straight to the point and tell you that “Yes” Opinion Outpost is a legitimate survey company that does pay for people to complete surveys. However, there are a few things you need to keep in mind when dealing with survey companies in general that I will go into in this article. Now even though I say that they’re a legitimate survey company, they do come with their fair share of complaints, so something to keep in mind. Earning money through survey websites is one of the most common ways to make some extra cash online. With some of the survey websites having millions of registered users, there is no other online money making method that comes close in popularity. But with tremendous popularity of such websites in last few years along with few other similar ways to make money online, the internet has also become the breeding ground for the scam websites. This is exactly why you need to learn about the authenticity of websites making such claims before trying them out. Opinion outpost is a legitimate business opportunity for folks who want to make some extra cash online, but it does have limitations which seems to frustrate the hell out of its members. Having said that, most of the frustrations are not unusual for these types of survey companies. It works by getting it’s members to complete online surveys and in exchange they paid you in cash or in reward points. 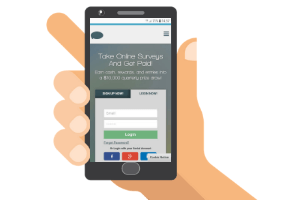 You’re not going to be able to create a full-time income from completing surveys, but if you know that up front, and you’re cool with that, then it could be a great way to earn a few extra bucks. How Much Does Opinion Outpost Pay? This really depends on how many surveys you qualify for, and what the pay out is on each survey. How much money you make per survey depends on each individual survey. The amount is largely dictated by the company who is paying for the information. It does work if you’re willing to put in the time and effort, however, as I mention earlier, it comes with limitations and it is not something that I would invest my time and effort in. So here’s the deal with Opinion outpost – it’s not whether you’ll make money, because you will if you follow the rules. But really what it comes down to is whether the money you make will be worth your investment in time and effort. You must be 18 years and over to participate in opinion outpost. The age requirement may change in the future, but for now it is still 18 years and over. How Much Time Do You Need To Allocate to Opinion Outpost? Completing a survey can take you anywhere from 20 to 45 minutes depending on what the survey entails. So in my opinion there is definitely a better way to make money online where you’ll get paid over and over again for the time you invest in your business. Now, I’m not gonna BS you and say that you’ll start making money today, but if you can learn how to ride a bike, drive a car or even fill out a survey then this business will be just as difficult, but 10 times more profitable. You should also Join some of the top paying survey sites, as Opinion Outpost alone will not give you enough opportunities.